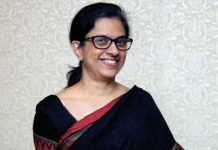 Mumbai: NASSCOM Foundation, in partnership with BNY Mellon and eClerx hosted India’s largest Tech for Good driven conference – The CSR Leadership Conference 2018 in Mumbai today. 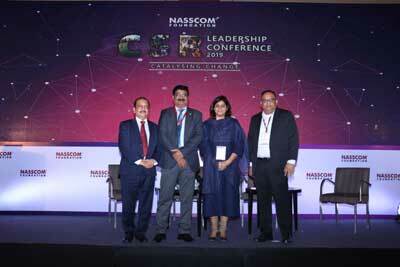 The CSR Leadership Conference with a central theme of ‘catalysing change’ saw visionary leaders like Harish Mehta, Founder, NASSCOM; Chairman, Onward Technologies call for collaboration across the industry to solve larger national issues. According to a report by Accenture, 95% workforce believes that it needs new skills to remain relevant. Addressing the critical question on how can CSR help in re-skilling the workforce, the conference called for an innovative approach, aided with intelligent technologies, to help people develop future-ready skills. The panel consisting of leaders like Aloka Majumdar from HSBC India, Deepak Maheshwari from Symantec, Deepa Kapoor from eClerx and Girish Singhania from EduBridge Learning, further discussed how India’s skilling challenge can be transformed into an opportunity. Different companies bring different expertise to the table and when resources are clubbed together, the scale and impact of the CSR projects increases. The conference further encouraged collaborative CSR by putting forth successful models and examples of public-private and inter-company collaborations. Education is the backbone of every society and the industry understands that extremely well. The sector, therefore receives the most CSR funding. The conference discussed on how can CSR make the next stride in providing quality and future-proof education to all. The conference ended with thought leaders like Santhosh Jayaram, Partner & Head, Sustainability and CSR Advisory, KPMG taking a closer look on corporate India’s contribution to development, in the mandated CSR era and its impact towards achieving the United Nations’ Sustainable Development Goals. The CSR Leadership Conference also had a host of networking opportunities and enabled NGOs and Corporates to find relevant partners.